"I'm running how fast to the finish?!" 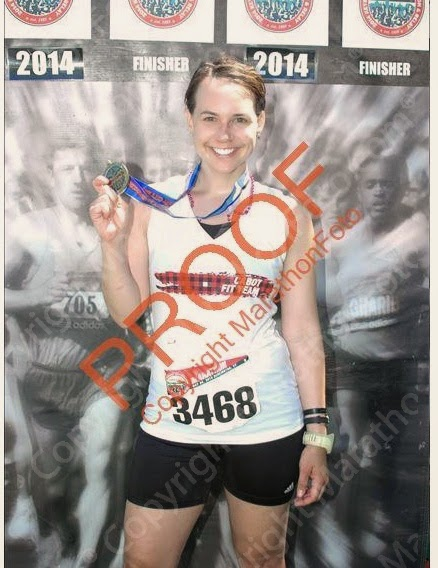 Six word recap: #Ironbitch feels awesome posting 25-minute PR. Much like my last marathon race report, I have to start this with gratitude. I am so very thankful for this opportunity to run the Vermont City Marathon on behalf of Cabot Fit Team. It was the trip of a lifetime. A big thank you to all the people who trained me to get to the start line, as well as Katie for her insights on the course and Carissa for helping calm my nerves and starting the race with me. So at Circular Logic, I knew I was cooked in the sixth mile. Something just wasn't right and I didn't know how to recover and get back on track. In Vermont, I knew at mile two it was going to be my day. The stars were aligning. My stomach was settled, I was rest, my legs were firing and my head was in it. It was going to be the perfect day. 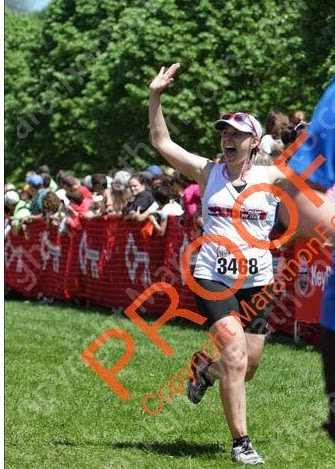 And it was - I had the race of my life in Burlington. Backing up, I roused at 5 a.m. and had a bagel, peanut butter, banana and salt, with three cups of water and coffee with sugar. I donned my Cabot apparel and headed downstairs for a photo opp with the lovely ladies of the Cabot Fit Team. Carissa and I started the race together and spent 40 minutes anxiously awaiting the start. We joined the four-hour pace group and got ready to settle in. I was literally two miles in when I started to pull away from the pace group. It felt super slow and I had to remind myself I had a long way to go. I hit the 10K timing mat feeling strong, and was feeling equally psyched at the half mark. I felt like I just kept gaining steam and had to remind myself to slow down. It was hot, and it's a hell of a lot more hilly here than it is at home. There was a massive hill at 16 and a series of smaller rolling hills, which certainly left me winded. Otherwise, I didn't feel hopelessly out of breath or excessive sweaty. I didn't listen to music, I didn't talk to anyone. I just hammered it out. Nutrition wise, I took a GU at eight, 16 and 21, along with an orange slice, watermelon and a popsicle. I took water at every given opportunity and gatorade a few times for good measure. However, I did not stop. I was relentless - no walking, no bathroom breaks, no "take a breather that was a terrible hill I want to die" moments. This was the first marathon that did not include a moment of walking. There were moments of doubt, though. While I felt great crossing the 20-mile mat, I wanted to walk when I hit 22. But who walks at 22 when nothing really hurts? I took a popsicle from a kid at that point and it turned my day around. At 23, I knew I'd make it in under four hours. I contemplated if I could catch up to the 3:45 group and mentally wrote my victorious blog post in my mind. 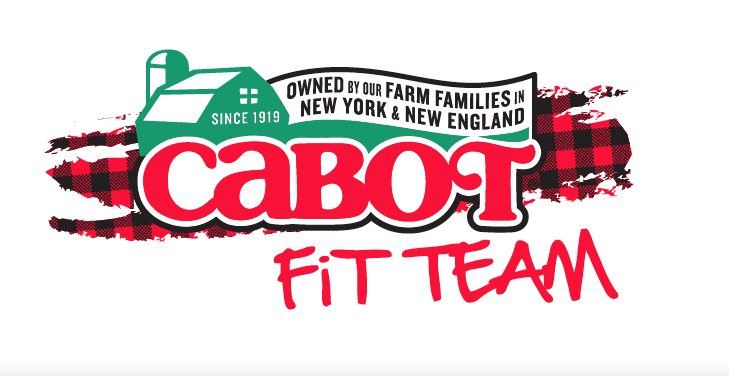 I saw the rest of the Cabot Fit team right around the 26-mile mark, then headed to the finish line absolutely incredulous to what I just did. Sub four was within grasp. Sub 3:50? Who knew. It's amazing what your body will do when your mind tells it to go. I grabbed a banana, a soy chocolate milk, a bottle of water and a space blanket, then set out to find my team. 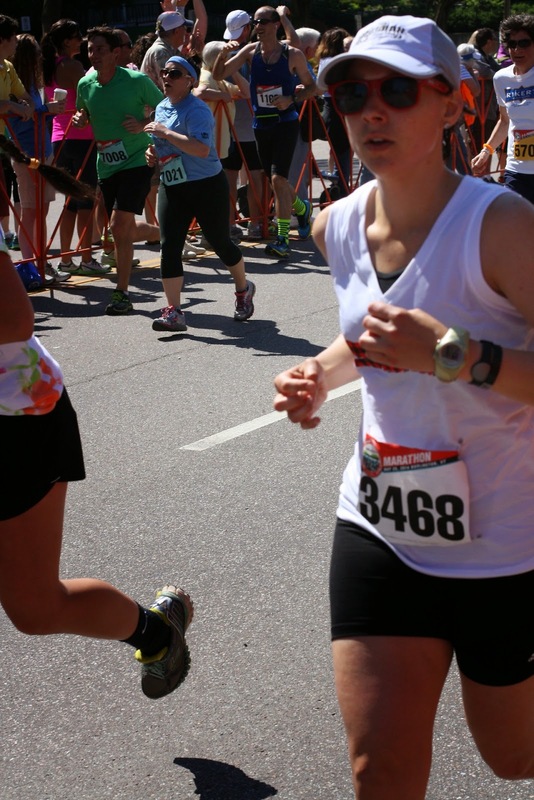 When I stopped moving, I really started hobbling and feeling the effects of what I just did. After I retrieved my protein shake and phone from the team, I hit the massage tent for a lovely post-race work over, along with the very well-stocked food tent. They had pizza, tortilla chips, granola bars and all manner of fruit. Post race, I had a Recoverite shake with soy chocolate milk, a slice of pizza, tortilla chips, a banana and a granola bar. Amazingly, my stomach felt fine. I have no idea what happened this race that I haven't done before, but everything clicked. This also happened to be a great race that had it all - beautiful vistas, a spectator-friendly course (you pass through downtown five times), a mentally interesting course and an entire town rallying behind this race. There were funny signs, drag queens, sprinklers, homegrown aid stations and support every where you turned. This was the first race in which my family wasn't somewhere in the crowd and I felt OK with it because of the amazing support of my team and the town of Burlington. I've officially taken 41 minutes off of my marathon PR this training cycle. I've never been this fast, ever, and I'm feeling great, too. I'm a little sore, a little sunburned and a little chafed today, but I'm ready to get back at it again tomorrow. Next year, I want to come back and Boston Qualify. When you cut 25 minutes off in two months, shaving off another 14 in a year seems feasible. BQ, I'm coming for you. Would I do this race again? Sign me up now, I'm in. BQ or bust. Congrats on the massive PR! Good luck with your BQ attempt! What an awesome job! I am so proud of you! Congrats Kelly! Awesome job! I am so happy for you. Congrats! I'm happy you made your goal! Amazing! congrats again girl! Keep in touch and I hope to be able to run with you again soon! So awesome!! Love that you had such an amazing experience. You certainly earned it!! 14 minutes is in your grasp! When you start training on hills in Seattle full time, come back to Chicago and run Chicago or Milwaukee. BQ almost guaranteed. You made me want to go back to do Vermont. Maybe next year!! So Austin marathon next year?! Congrats! I am so happy you got the race you deserved because you've worked so hard. Now onto Ironman training! Let's go Ironbitch! Finally catching up! Way to go!! !